VERO BEACH – A Walmart loss prevention officer began to surveillance of two women at the Vero Beach store after a suspicious return. Andrea Lynne Rybka, 26, and Britton Jeannettee Smith, 54, finished a no receipt return on a significant amount of hardware merchandise at the Vero Beach Walmart store. As the officer continued his surveillance on Rybka and Smith, they selected large quantities of clothing and removed them from the hangers before concealing them in their purses. At that point, the loss prevention officer called the Indian River County Sheriff’s Office about a theft in progress. Rybka and Smith were seen moving around the store and switching barcode stickers on a few items. Then they scanned some of the items they paid for but left most of the clothing in their purses. As they exited Walmart, they were apprehended by deputies. A total of $181.94 of unpaid merchandise was recovered. Walmart plans to prosecute both suspects for the theft. Deputies reviewed the video surveillance footage and clearly saw both women using purses to conceal items. 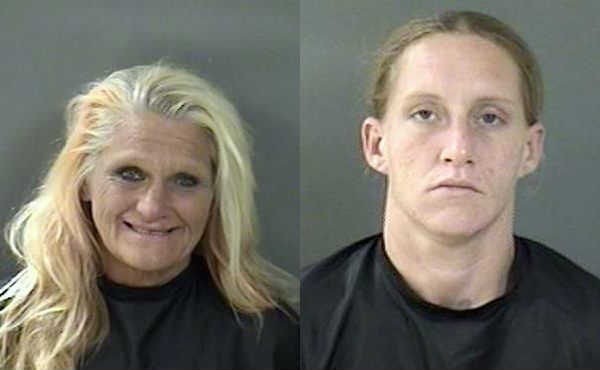 Rybka and Smith were arrested and transported to the Indian River County Jail where they were charged with Retail Theft. According to jail records, Rybka has been arrested 11 times. Smith has been arrested 7 times.